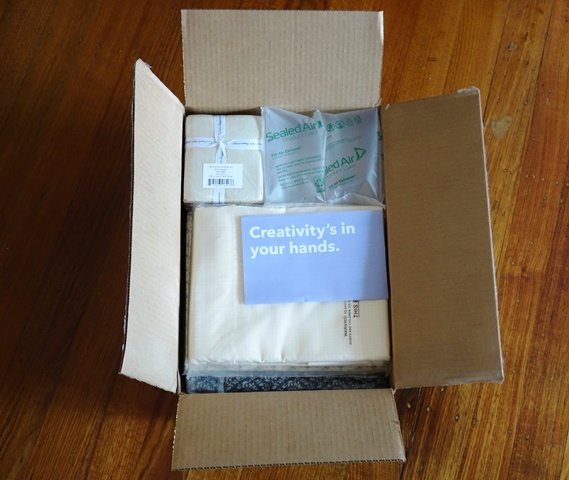 Esther's Design Blog: BOM 2019: Look What Arrived! When you open a box and are greeted with a sight like this, you know you've made a good decision. Those folks over at Craftsy know what they're doing. And phew, am I glad! 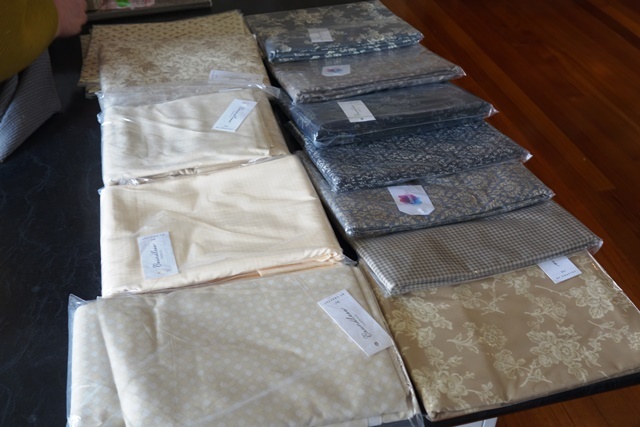 I went a bit crazy and shopped their fabric clearance sale, picking up fabric ranges from a manufacturer I'd never heard of. I know, it's crazy. And I knew it would either be fabulous or .. a mistake. Gladly, I'm delighted with my purchase. Not only did I get slashed prices, but the fabric quality is excellent too. 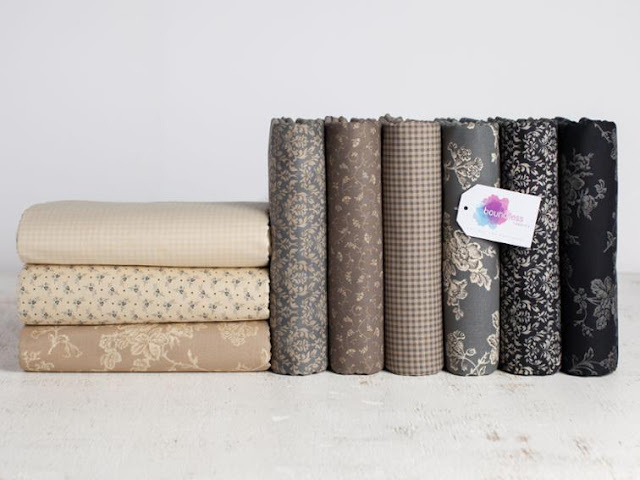 I have been in such a pickle over selecting fabric for my latest quilt, Hold Onto Your Heart. I am so in love with this quilt and feel that a gentle colour scheme in antique reproduction tones (as used in the pattern which is a French General range by Moda) would be perfect. But by the time I went to purchase the range, the prints I wanted were sold out. It's still possible to pick up certain prints but the exact ones I had my heart set on are out of stock everywhere. This was a huge disappointment as I was really 'feeling' the fabrics and was sure my selection was set. Ha! as if! 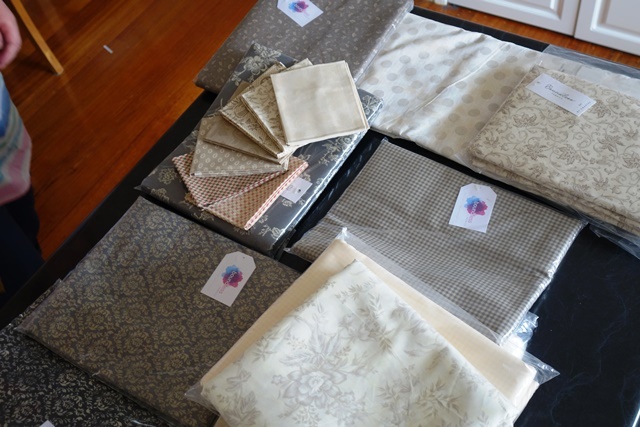 You know the course of my fabric selections never run smooth! I spent days looking at fabrics everywhere and not feeling anything. I just couldn't see my pattern made up in them. That is, until I stumbled across the Craftsy clearance sale; suddenly the almost monochromatic idea I has been playing around with as a colourway option was coming into focus.. and this fabric seemed to fit the bill. I love how these tones work together..
but I think you already know where I'm going with this - I'm not fabric ready yet. The range as it currently sits in my kitchen doesn't give me enough scope to create the gentle, harmonious, romantic vision I have in mind. I need a few extra prints to expand these and create a fuller selection that still stays within the boundary of my gentle vision. So I went shopping again. And I expanded a bit into some blues. And now I'm waiting for that delivery to arrive before I make a start on my romantic beauty. 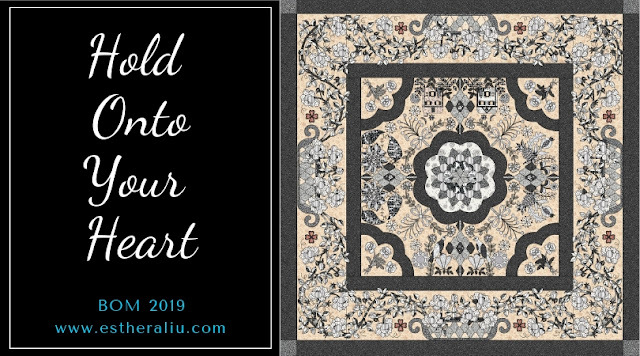 Which leads me to my next point, I'll be making two Hold Onto Your Heart Quilts this year. I hadn't planned to, but I'm being pulled into two directions- fabric wise, so to be satisfied, I simply have to. Esther, I love your fabric choices, they are beautiful. 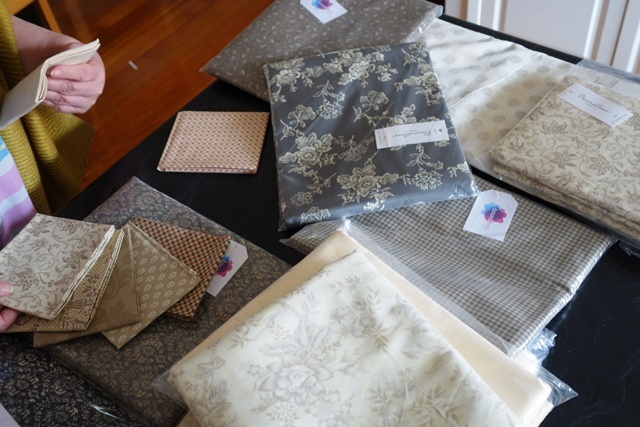 I still can’t decide on my fabrics yet. I do know I want to use my silver rose fabric for my background. I love your HOYH. I was unsure and hesitant about buying the Boundless fabric at first too but I also got some on this great price sale and won’t hesitate again! I love Crafts and have bought fabric and quilt kits when they were on sale! I have never been disappointed! Not so sure about the turn over but we'll see.